Santa Monica Press, 9781891661440, 334pp. Famous for leading the Tokyo Raid, America's first strike against Japan in World War II, Jimmy Doolittle led a remarkable life as an American pilot. This firsthand account by his granddaughter reveals an extraordinary individual--a scientist with a doctorate in aeronautical engineering from MIT, an aviation pioneer who was the first to fly across the United States in less than 24 hours and the first to fly "blind" (using only his plane's instruments), a barnstormer well known for aerobatics, a popular racing pilot who won every major air race at least once, recipient of both the Congressional Medal of Honor and Presidential Medal of Freedom, a four-star general, and commander of both the 8th, 12th and 15th Air Forces. 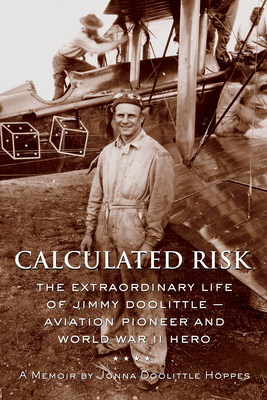 This memoir provides insights into the public and private world of Jimmy Doolittle and his family and sheds light on the drives and motivation of one of America's most influential and ambitious aviators. Jonna Doolittle Hoppes is the granddaughter of Jimmy Doolittle. She teaches classes at the United States Air Force base in Los Angeles and has written about her grandfather in "Smithsonian Air and Space" magazine. She lives in Huntington Beach, California.